Rona Kobell, left, will interview Kate Livie at Baltimore's Mt. Vernon Marketplace about her new book, Chesapeake Oysters: The Bay's Foundation and Future. From Jonathan Swift to M.F.K. Fisher, Ernest Hemingway to Anton Chekhov, writers of the world have long been enamored with the oysters of the world. What is it about these morsels of the sea that so captivates us? As Swift once famously said, “It was a bold man who first ate an oyster.” (Swift apparently borrowed the quote from writer Thomas Fuller, and ascribed some other strange properties to the oyster that, scientifically, it is not known to have. I remember not liking my first one, consumed on a camping trip and “Chincotized” in the salty waters of the bay. But my second one? It was roasted in the oven, topped with bacon and cheese, and served in the warmth of a country club next to the farmer who harvested it. That oyster remains the best thing I have ever eaten. For me, oysters are much more than food. They are even more than the ecological kidneys of the Chesapeake; more than a bulwark against sea-level rise, or than a crucial habitat for worms, fish and crabs. They’re not just an important piece in the history of Baltimore - as an oyster canning capital – or of the rest of seaside Maryland and Virginia, which once made a living from the country’s great protein factory, as H.L. Mencken once called the Chesapeake. Oysters give us hope - that all is not lost, that a species once almost gone can come back, and that how we manage what’s left of our fishery will speak volumes about whether we’ve learned from our past. All that, and they only move for two weeks of their lives. On Wednesday, Feb. 3, I will be interviewing Livie about her book at The Local Oyster, a new oyster bar in downtown Baltimore. For an oyster nerd like me, it’s a real honor. The location in Mt. Vernon Marketplace is special, too, because Baltimore-based oyster farmer Patrick Hudson co-owns the restaurant there. He graciously allowed me to play “oyster farmer for a day” and write about it for the Bay Journal. The event will be from 7 to 9 p.m. at the market, which is at 520 Park Avenue in Baltimore. It’s a beautiful place; the builders did a lovely job. There will be oysters, drinks, and great conversation. Livie will have signed copies of her book for sale. I will have copies of the Bay Journal for free. And Patrick and his team will make sure you have delicious oysters. It’s a can’t-miss, especially now that I can get out of my driveway. 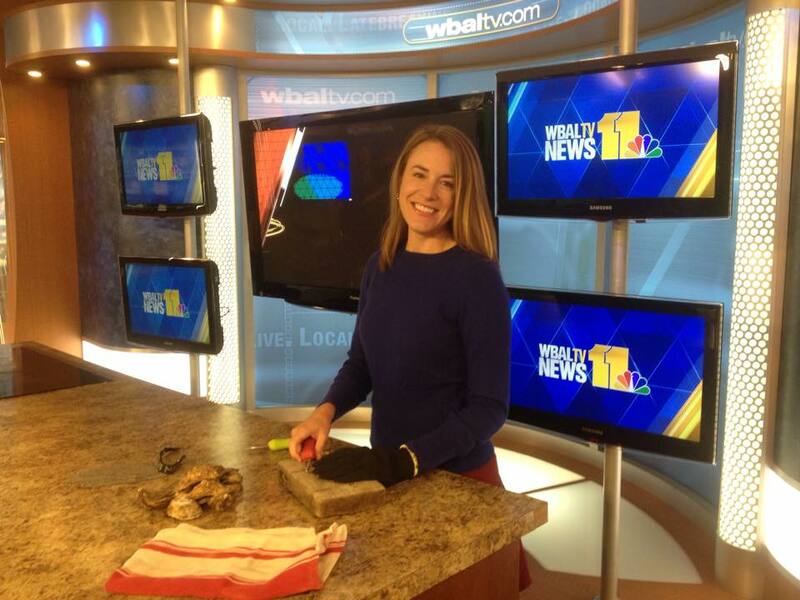 Author Kate Livie made a little video showing all you Chesapeake oyster lovers how to shuck an oyster like a pro. Check it out! Check out my interview about the book on Salisbury's channel WBOC!